UpFront with NGS: Native American Ancestral Research -- Don't Limit Yourself to Federally and State Recognized Tribes! Native American Ancestral Research -- Don't Limit Yourself to Federally and State Recognized Tribes! Sometimes it’s the little things that catch our eye. Last week while doing research at the Government and Heritage Library (GHL) (part of the State Library of North Carolina), I saw a map that reminded me that though the Cherokee nation might be the only Federally Recognized tribe in North Carolina, there are several State Recognized tribes and still other tribes whose territory included North Carolina. 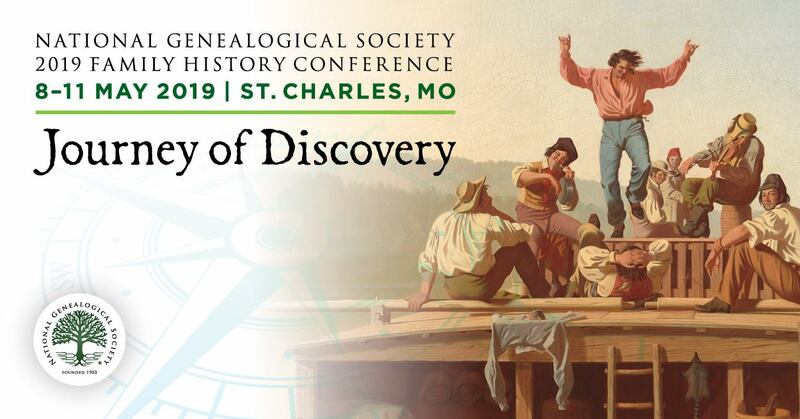 A blog post yesterday, Selected Native American Resources in Genealogy, on the GHL blog includes the same map and a list of helpful related resources held by GHL. Though the Cherokee tribe members and ancestors are better documented, when there is family lore that NC ancestors were Native American, you will want to consider the possibility that they were not Cherokee (the most popular tribe mentioned in such lore) and that that they might have been members of the Lumbee, Coharie, Meherrin, Halawi-Saponi and or another tribe. 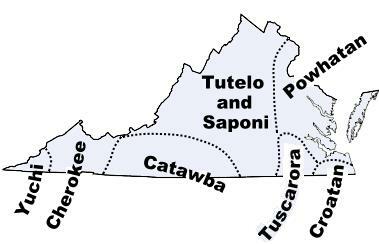 It’s easy to get focused on the Federally recognized tribes and not know or remember that states like North Carolina, South Carolina and Virginia all still have Native American populations and are home to many State Recognized Tribes. Check out the Federal and State Recognized Tribes list published by the National Conference of State Legislatures. Given that there was a Tuscarora war 1711-1715 in NC, this tribe comes to mind for me as one which falls into this category. 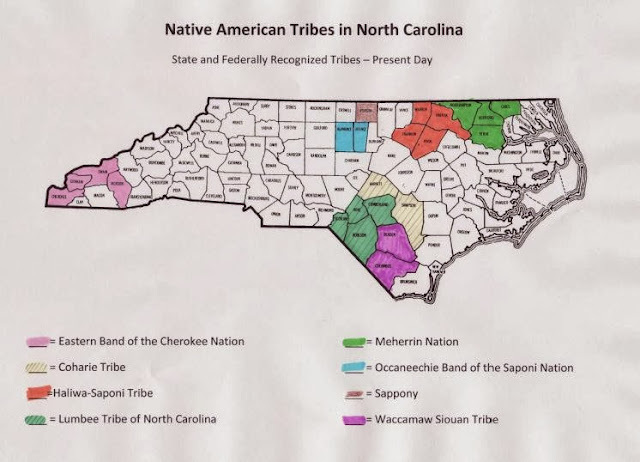 This maps shows that there are other tribes which were resident in NC at the time of European contact and so they are also candidates as a source of Native American heritage in your family tree! Access Genealogy has a nice collection of information about Native American populations (The Indian Tribes of North American) including a list of North Carolina Indian Tribes which documents ALL the identified tribes that at any time resided in North Carolina. This site has many more resources that you will want to check out. So, when considering Native American ancestry and its possible presence in your family tree, dig into the history of the Native Americans in the state during the time period where your family lived. Look beyond Federally and State recognized tribes and into ALL Native Americans resident at the appropriate time. Since intermarrying could have occurred at any time, your Native American ancestry might be from a tribe no longer in existence (as a recognized tribe) and yet was very real at one time. If you’ve successfully identified/documented a Native American ancestry link to a not Federally or State recognized tribe, please share your story? What suggestions would you offer those attempting to do the same?